Circus performers free-fall for a profession – it’s just how life works sometimes. Free-falling is something you can work with in a moment. If you stay with hard feelings rather than running away from them, you may fall a little bit. But just trust that you WILL land somewhere. There’s a first time for everything, and I did my first BLAB yesterday. What’s blab? Click – you’ll see. It’s a virtual conversation! On #toyourbesthealth, we were talking about this whole free-fall idea. This is the key to getting through anything. As I say in “Gutless & Grateful”, it takes guts to trust when you have nothing solid to fall back on. Listen to my blab here for tips on moving forward when you’d rather stay stuck. I know – I’ve been there. Do you have a Blab topic in mind? Is there something you’d love to learn about and join in the conversation? Send me a note. Blab is a great way to engage in really wonderful issues and I’d love to hear what you had in mind. Write me here, Facebook, Twitter or Instagram! Write your daily A-Z gratitude list – learn here. When you know what you’re grateful for, you know what you’re about. Think of those 24 things you wrote today – it may take you the whole day to fill out all 24 letters. If you keep a daily list, you’ll have 24 more insights into who you are every day. That could be 720 things to be grateful for in a month! At the end of the month, go back to those lists. What do you think of when you need something to give you hope? What do you need in your life in order to keep going? Need some one-one-one Detour Navigation Guiding? Try a coaching session. We’ve all got detours. I’ll show you how to get through your own. I’m happy to announce that I’ve opened up several spots for private coaching! I know that although stories can unite us all, every detour can be different, and one approach isn’t always right for everyone. Check out what I offer and send me a note. I’d love to work with you on your own detour! Find one word to express how you feel this very second. As you doodle, note the strongest emotion that i coming up for you at this moment – even if it’s not such a grateful one. Anger? Fear? Fatigue? Boredom? Don’t avoid it – think that thought even more. As you think it, focus on how that ____ (emotion) feels in your body, in your hand with the pencil, in your arm moving around the pencil. Don’t think, just feel physically. Turn off the music, put the pencil down, take a deep breath, and look at your art. What did that teach you about who you are? Don’t forget to share! 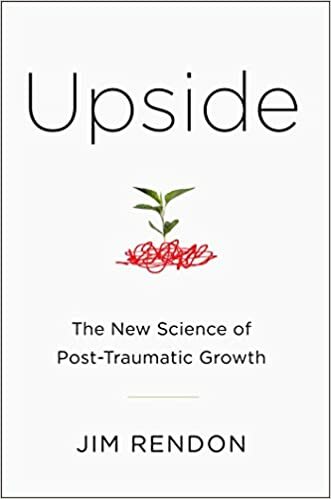 Every trauma has an “upside” and this week, I shared a book about growing after difficult times. Want some more tips on learning how to “bless the mess”? I’m telling you a few keys to clearing up the chaos in my interview with Universal Energy Radio. I’m now selling my original mixed media art which you can view in my gallery. I’m also taking custom orders here. I’m sad to see it go, but art is for connection, healing, and to make others happy – or feel anything at all. So contact me if there’s something you like, or get your own made here. Need a card for the holidays? Art: another thing I discovered. Just because of a detour. Do you have a detour? Wanna join the community of Detourists? If you’re ready to share, or listen to others, read about the latest Detourist, Reba in my Why Not Wednesday Column. Wanna contribute to Why Not Wednesday? Why not? We make art, we write, we create to celebrate life doesn’t go like we plan. Your story, your creations, your life may inspire someone who needs it at that very moment – you never know. Detourist Ground Rule: When your path keeps changing, study the course so you can ace your bumpy journey. And then get ready to re-learn and reroute! Now tell me why you love your detour with #LoveMyDetour. How to deal with stress? Keep learning. As we change, the lessons change. If we wanna keep growing, we’ve gotta keep learning. What better excuse to stay a student forever?! But learning can be stressful – AKA Growing Pains. Speaking of students, I’m starting my college tour of Gutless & Grateful, where we’re learning all about developing coping for stress, anxiety and detours. This me giving my mental health talkback to Hampshire College with the school’s wellness coordinator. You can view some of my tools to cope with stress in my Mental Health Resource Guide. Are you a student? You can be a detourist too! It’s the best way to get through the stress of school. Detours apply to everyone, but especially you! College can be a scary time. What’s the hardest part about school for you? Let me know here. Check out my exclusive tips on how to bring the “Detour” movement to your campus make your campus a better place. You can even bring my program to your school here. This was a picture when I did the program at Hampshire College last week! I know, I’m into it, I guess. If you’re in college, have a support group, or want to bring a group of Detourists together, learn about my Detourist Group Program here. Teaching art in December, February and March in CT – learn here. Coming to a college near you – you can even get there yourself here! So wanna know what the P is on my grateful list this week? PARENTS! Leave it to them to get into the #LoveMyDetour Spirit. Definitely excited to add them to the #LoveMyDetour Gallery – so where’s your picture already? My parents taught me well…so well that my private coaching comes from being raised by these two crazy folks…and you know, that crazy life experience I’ve had. Have a great week, and don’t forget to share your travels. Write me about your detour here, or use #LoveMyDetour on Facebook, Twitter or Instagram! So…how are you free-falling today? I related to this post, as finding Arscura – School for Living Art, helped to save my life when I was so far down, people didn’t expect me to survive. I enjoy your message and how you are sharing your process with others to help them when life throws them a detour. Through my experiences I can now support and help others and even if one person is helped, we are being of great service to the world! Thanks for sharing this. What a great list of ways to center yourself! Thanks for sharing with us at Photo Friday – please make sure that you are making your way to at least two other participants to comment on/share their posts. Thanks for sharing at #LearningKid linkup. Love the idea of an A-Z gratitude list… what a great challenge! Thanks for sharing. A daily grateful list using every letter of the alphabet? What a great idea! I’m going to have to try this!